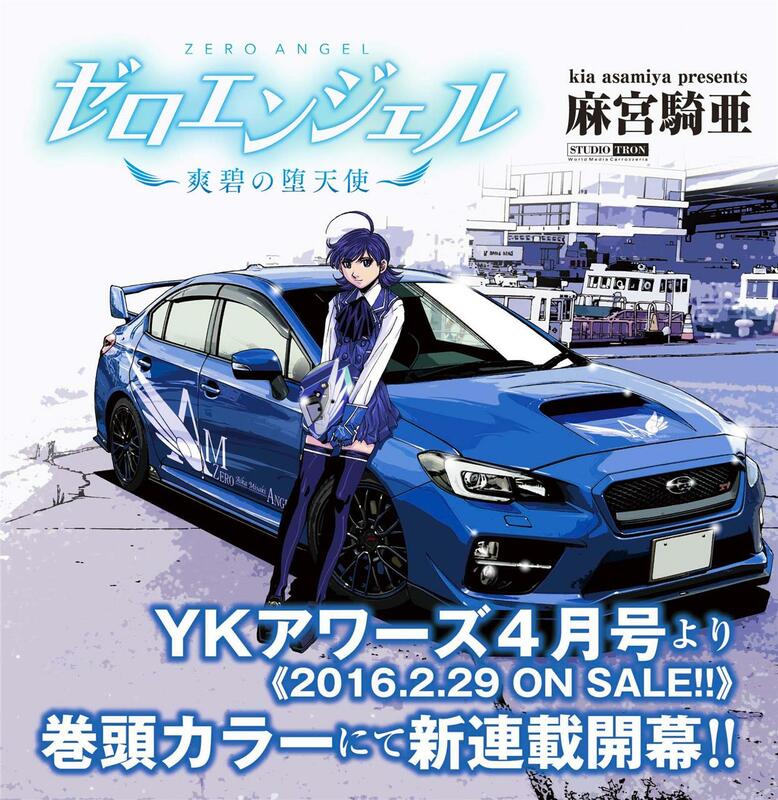 Manga creator Kia Asamiya launched a new car racing manga titled Zero Angel ~Sōheki no Datenshi~ (Zero Angel ~The Clear Blue Fallen Angel~) in the April issue of Shonengahosha's Young King Ours magazine on Monday. 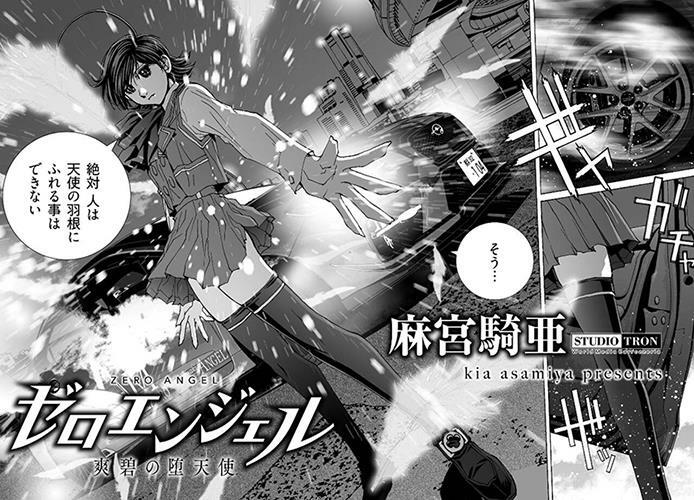 The manga is set in Yokohama, and centers on high school student and pro driver Aika Misaki. 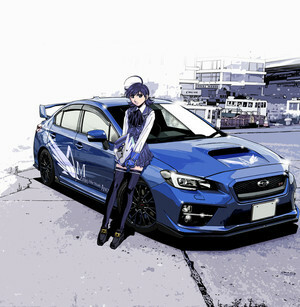 While she works as an idol in kart racing, she is also an undefeated street racer in her Subaru WRX STi. Asamiya created the Silent Möbius, Steam Detectives, Compiler, and Junk: Record of the Last Hero manga, among others. He provided character designs for the Martian Successor Nadesico anime (which he later adapted into the Nadesico manga), adapted the Star Wars Episode I: The Phantom Menace into manga, and wrote and drew the Batman: The Child of Dreams comic. Many of his manga have been adapted into anime. He ended his Silent Möbius QD manga last June. Viz Media published his Silent Möbius and Steam Detectives manga in North America, while CPM Manga published Nadesico, and DrMaster published Junk: Record of the Last Hero. Udon Entertainment announced in 2009 that it planned to republish the original manga Silent Möbius as it was published in Japan, including the later Silent Möbius Tales and Möbius Klein volumes, but the company has since only published the first four volumes of the original manga. 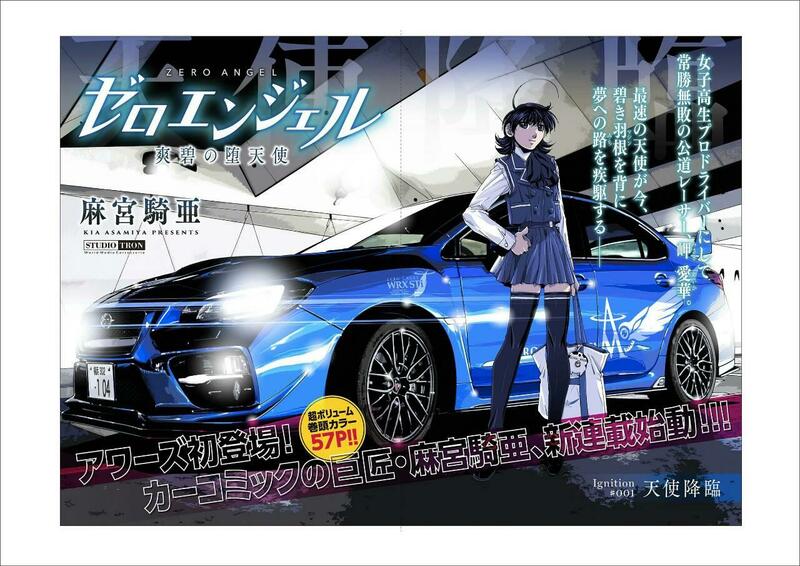 I am not entirely sure what the car racing will be in this series, but I am assuming it might be circuit racing considering the main character is involved in kart racing and is apparently a supporting character in Kia Asamiya's most recent works, Kanojo no Carrera. 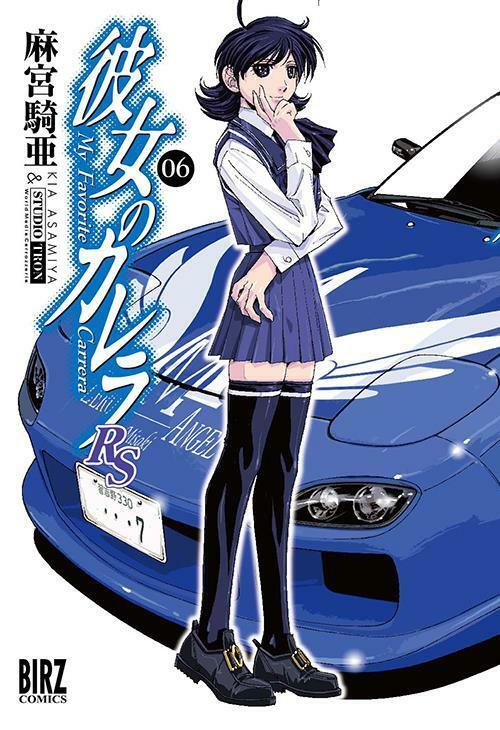 Kanojo no Carrera is also sort-of car related, it focuses on a woman named Reina (as far as I remember, she worked at a magazine of some sort) who inherits her late father's Type 964 Porsche 911 Carrera RS (with a stick shift!) and experiences with the car. I read a few chapters when it first came out and at least in the beginning it's about her learning to drive it (she doesn't know how to drive a stick shift) and some minor ups and downs of owning the car. Woah! Thanks for the info Bozz~ I'm actually really excited about this manga... especially if Viz handles it like they're doing with Black Lagoon within their Signature Series line. Looks really good! Image size reduced, original size: 1244 x 1280. Click here to view the image in its original dimension. Image size reduced, original size: 1280 x 905. Click here to view the image in its original dimension. Image size reduced, original size: 694 x 500. Click here to view the image in its original dimension. Wait a sec, shouldn't this be a spin-off/sequel of Kanojo no Carrera? Didn't Aika drive a Porsche 968CS in that manga and was introduced as Reina's cousin? Yeah, this is a spin off, I guess I kind of worded it oddly by saying it's focusing on a supporting character from Kanojo no Carrera. Speaking of which, was Kanojo no Carrera licensed by Viz or any company in particular for an English language release?